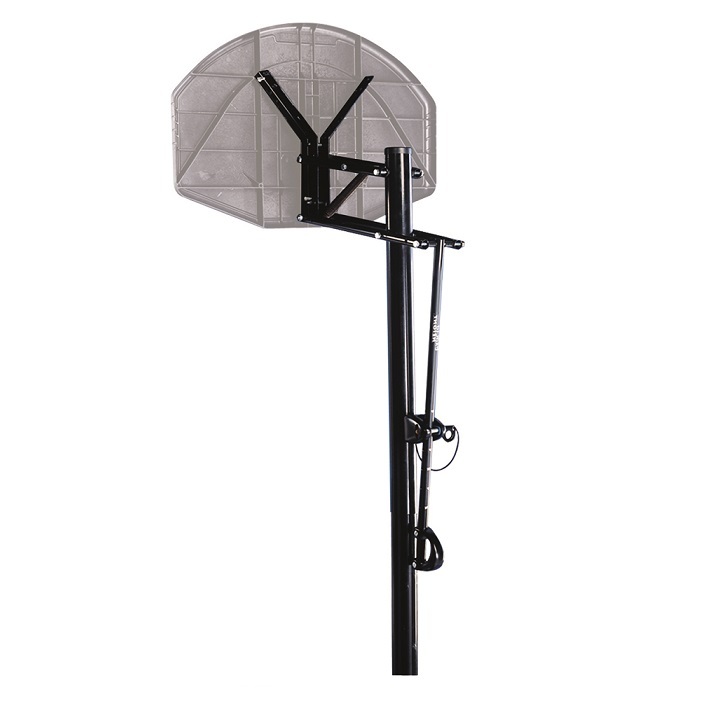 Our basketball accessories allow you to get the most out of your basketball equipment. 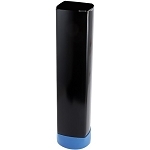 Accessories include everything from ground sleeves to basketball court marking kits. 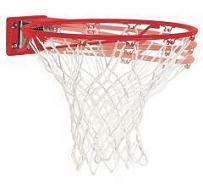 We also sell basketballs and replacement equipment including rims and nets. 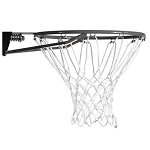 Browse our selection of basketball accessories and equip your basketball players with everything they need for success. 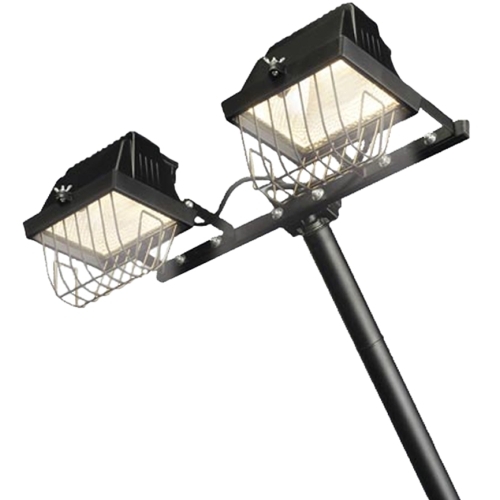 Purchase a ground sleeve, pole pad, mounting kit, court marking or ball return accessory for any of your system needs. Help direct made shots back to you to speed up your personal shooting practice. Replace your existing net with a heavier duty net. Available in nylon and cable. 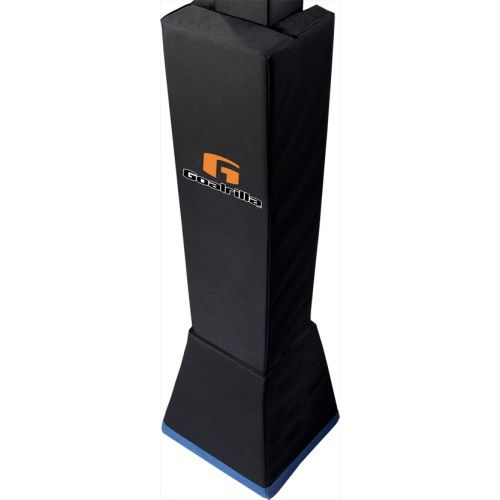 Help protect players from direct impact with the pole your basketball system with a pole pad covering. Are you making your own system or need to move your in-ground system to a new place? Check out our selection of poles and ground sleeves. Get a replacement rim for your existing Lifetime Products, Spalding, Huffy, or Goalrilla basketball system. 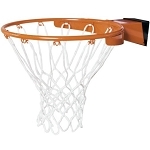 Great selection of indoor and outdoor basketballs include youth, women's, and men's sizes. Accessorize your Goalrilla basketball system with these options. 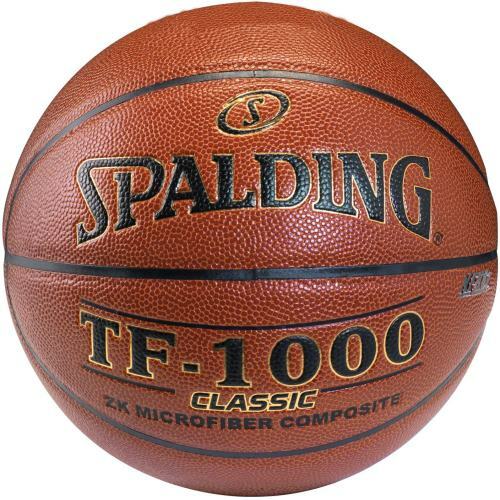 Choose from a wide selection of accessories for your Spalding and Huffy basketball systems. Replacement basketball rims for sale from most basketball hoop suppliers. 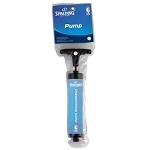 Volume pricing available for larger basketball accessory purchases. Most of these accessory parts are adaptable to any system. 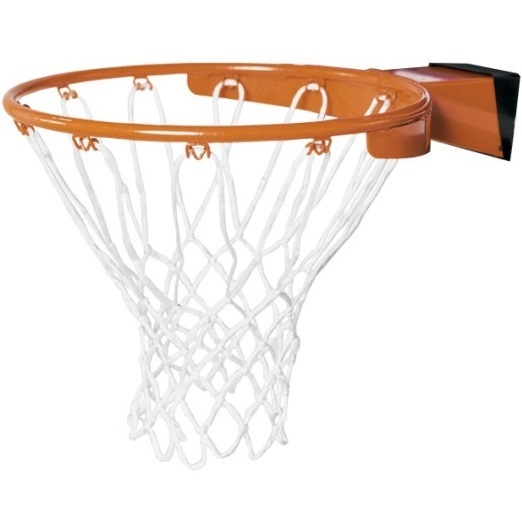 For instance, the 0501 hoop chute is adaptable to just about any rim. Pole pads from Lifetime should be able to fit most any pole with the proper size. We carry many types of basketball systems including portable that you fill with water or sand as well as inground that gets cemented into the ground. 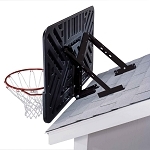 Not only do we so basketball systems, but we carry many accessories. 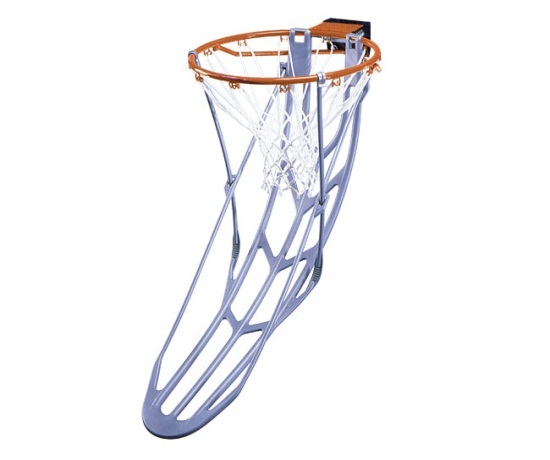 In inground basketball system, for example, has the option of using a ground sleeve where you cement the ground sleeve into the ground instead of the pole itself. We also have some basketball helps to improve the shooters field-goal percentage. These include the rollback net, model 12347 as well as the Lifetime and happy ball returns. This allows you to get into a rhythm, rather than spending time chasing the ball around and going back to the free-throw or three-point line. 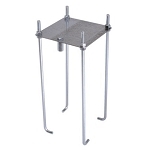 There are also accessories that help minimize injury and improve safety such as pole pads and frame pads. We carry the goal setter brand frame pads and we carry Lifetime, Spalding, and Escalade pole pads for basketball goals. The pole pads generally go around three sides of the pole. They usually Velcro on the back. Sometimes customers will purchase the pole pads for other types of poles in their home basement, garage, or for soccer and football posts. 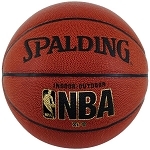 We also carry inflatable needles for sports balls such as basketballs, footballs, and soccer balls. 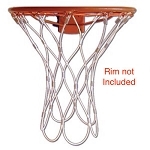 We carry replacement nets that go around a standard 18 inch regulation size rim. We have the permanet by Klein Sports whic is a cable net designed to last for many years. Court marking kits are a fun way to make your driveway or pad legit and "the" place to gather for a pick-up game. They are High School and College regulation and are simple to do. Also check out these great basketball ball handling aids.